Free-standing scenery creates its own theatre — compact, economical, and flexible. It marches right into any stage space, classroom, recreation hall, or outdoor theatre space. 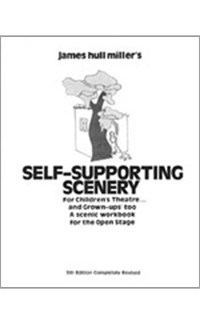 This stagecraft book, with over 175 drawings, tells how to construct self-supporting scenery, covering tools, materials, designs, and craft. An excellent theatre reference book, now in its fifth edition, James Hull Miller is a leading designer in the field with over 50 years of experience. A practical guide to portable stage sets. This revised third edition of the popular college textbook has been fully updated throughout to reflect the evolving nature of theatre design.